A Government report has called for farmland flood role to be overhauled, with farmers offered payments to use their fields for flood water storage. Farmers should be offered incentives to use their fields for flood water storage to prevent excess water pouring into urban areas, MPs have claimed. The Environment, Food and Rural Affairs (Efra) select committee called for an overhaul of flood management and suggested the Environment Agency (EA) be stripped of its responsibilities due to what MPs called an ‘over-reliance’ on traditional flood defences. The proposals drew a mixed response from farming and rural leaders, with some welcoming the approach, while the CLA questioned whether taking flood defence management away from the EA was the right idea. This week’s Efra report said flood management required more natural schemes to prevent rising water, such as planting more trees and allowing natural floodplains to soak up excess water. Efra proposals include establishing a new national floods commissioner for England, to be accountable for delivery of strategic, long-term flood risk reduction outcomes; new regional flood and coastal boards to coordinate regional delivery of national plans, in partnership with local stakeholders; and a new English rivers and coastal authority, taking on current Environment Agency roles. Despite many farmers being ‘naturally wary’ about allowing their land to be out of production for long periods, the use of farmland would be incentivised to compensate farmers, with bodies such as Defra and the NFU in talks over water storage approaches with low impact on farm productivity. David Hall, North West regional director and member of the Cumbria Flood Farm Action Group, which spearheaded the response to last winter’s Cumbrian floods, welcomed the proposals, saying they were a ‘positive move’. He said: “It is the right solution in the right place, using local knowledge and working with farmers and the local community to provide adequate support. The future flood prevention report said the current ‘fragmented, inefficient and ineffective’ flood-risk management arrangements needed a more holistic approach, with almost 5 million people susceptible to flooding. It said some of the most productive farmland was a functional floodplain, with about 70 per cent of UK land currently used for agriculture. 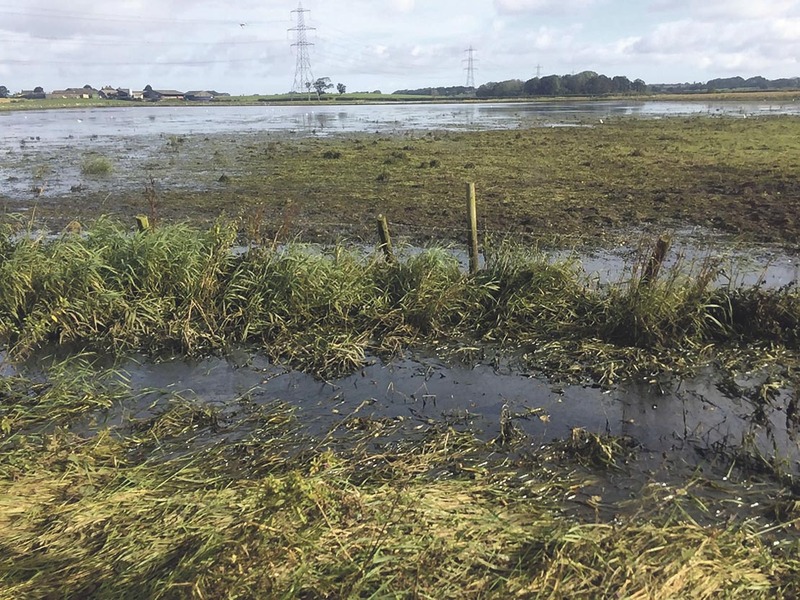 The CLA welcomed the MPs’ leadership to implement a new flood-risk approach, but said removing flood-risk management responsibilities from the Environment Agency would be a ‘backwards step’. CLA president Ross Murray said: “It would risk a confused and disjointed approach at a time when people and businesses affected by flooding in towns and countryside desperately needed more investment.